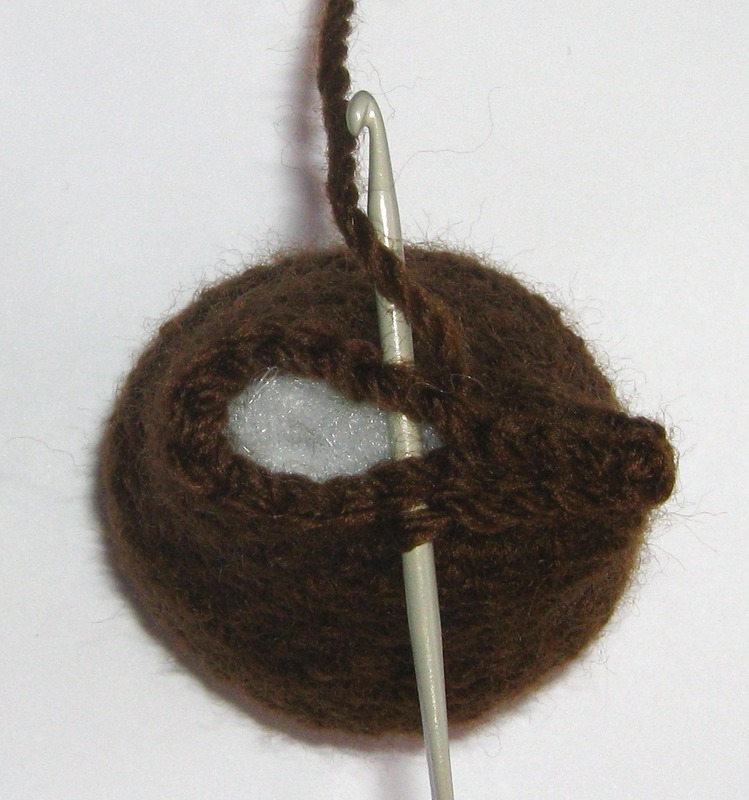 A simple pattern which can be a very good practice for an amigurumi beginner. Finished Size: Approximately 10cm (4in) high. 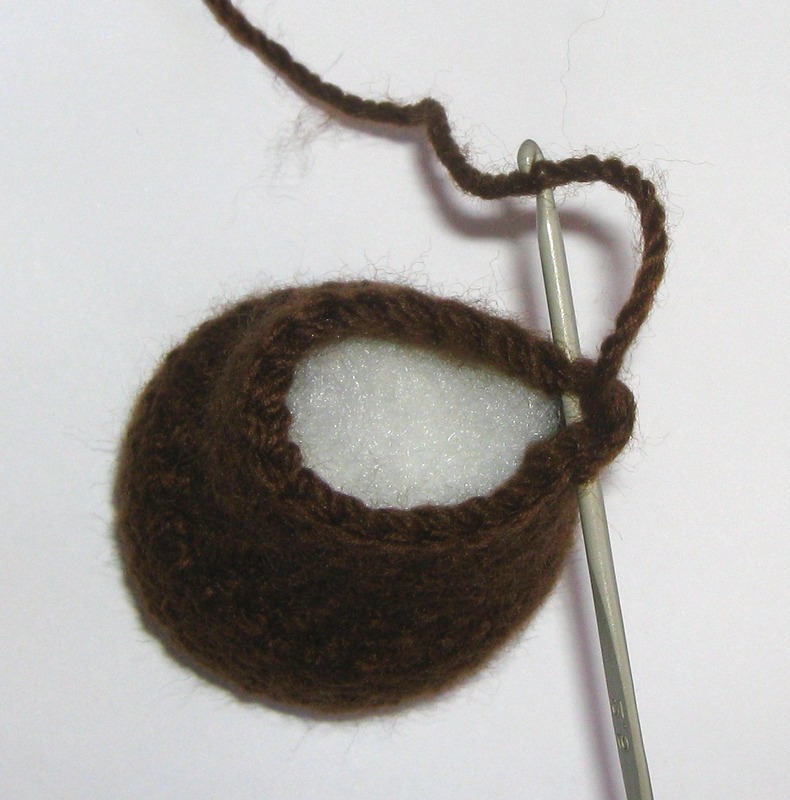 If you are using different yarn brand or type, use a hook size at least 0.5mm less than suggested on the yarn label (applicable only for acrylic yarn) to create tight stitches. For instructions marked with * check the Amigurumi adjustable ring, Fasten off when working in continuous rounds and French knot posts. Row 3: (2sc in next st, 1sc in the next st) times 6. Total 18sts. Tighten and secure the adjustable ring. Stuff the body with polyfill and using slst connecting the front with the back as indicated in the photos below. Fasten off*, secure and hide the tail. Fasten off* leaving 25cm (10in) tail. Fasten off and secure the tail. Also tighten and secure the adjustable ring. Fasten off leaving 25cm (10in) tail. 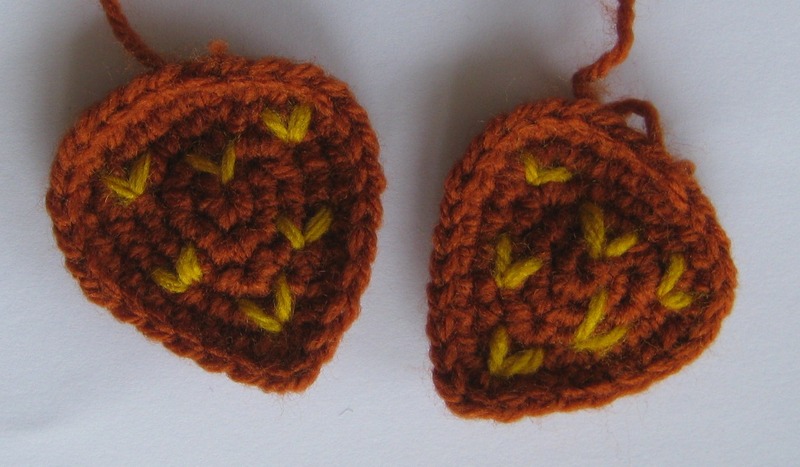 Decorate the wings by using single strand of YELLOW YARN, stitch straight stitches forming V shapes [photo below]. Then sew the wings to the sides using the 25cm (10cm) tail. 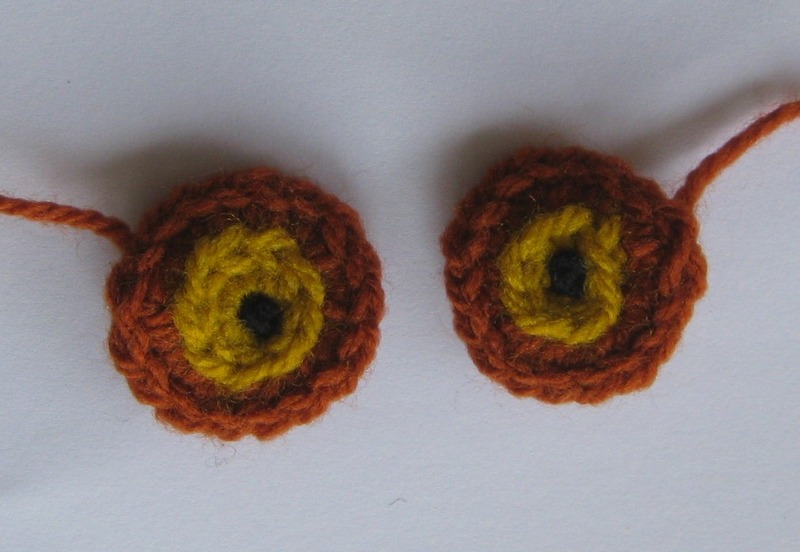 Using BLACK YARN stich French knots in the middle of the eyes [photo below]. Sew the eyes to the face using the 25cm (10in) tail. Mass production and Internet sales of the finished item based on the pattern are not allowed. I can only get 24 stitches. It makes the wing comes out lop-sided. I want to make this work with the wings since I’ve already got the body completed, stuffed and slip stitched close. 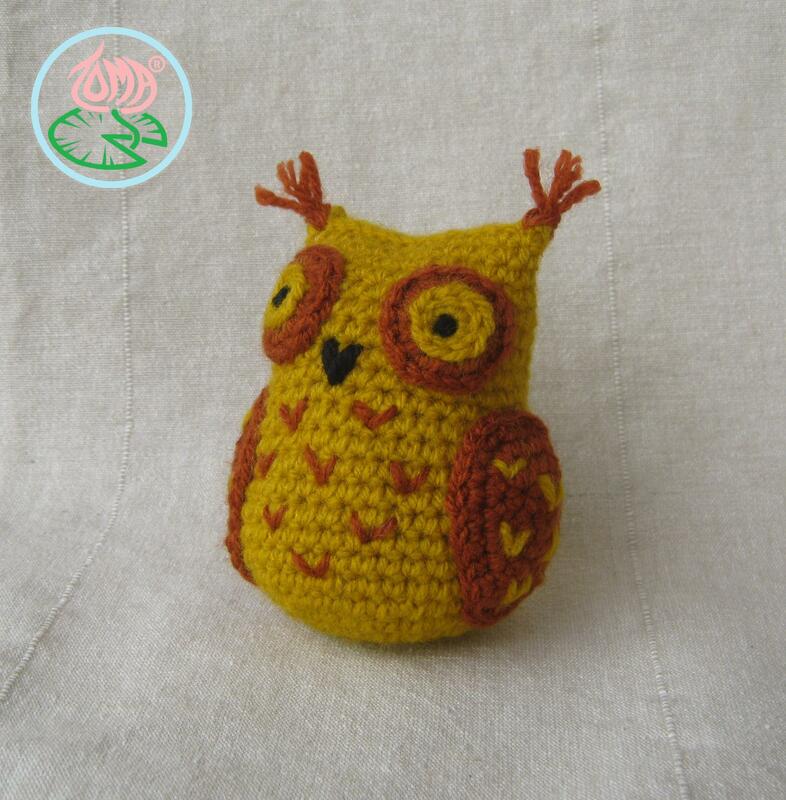 Finished the owl and it’s so cute! Thanks for sharing the pattern! I love your owls, I’d like to make a few for a local church Christmas Fair, would that be possible. Would it be alright if I made a few of these to sell at my Band Fundraiser? I absolutely adore this pattern! 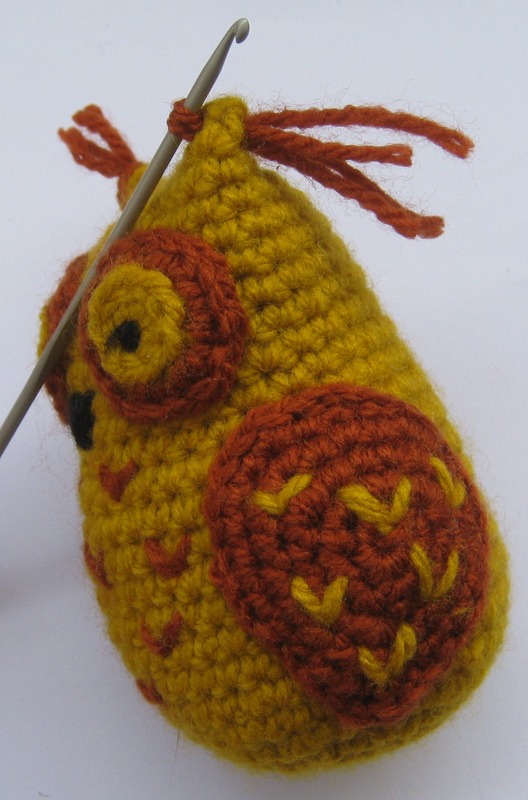 Love this pattern, made the owl while in England, my sister liked it so much I had to leave it with her! 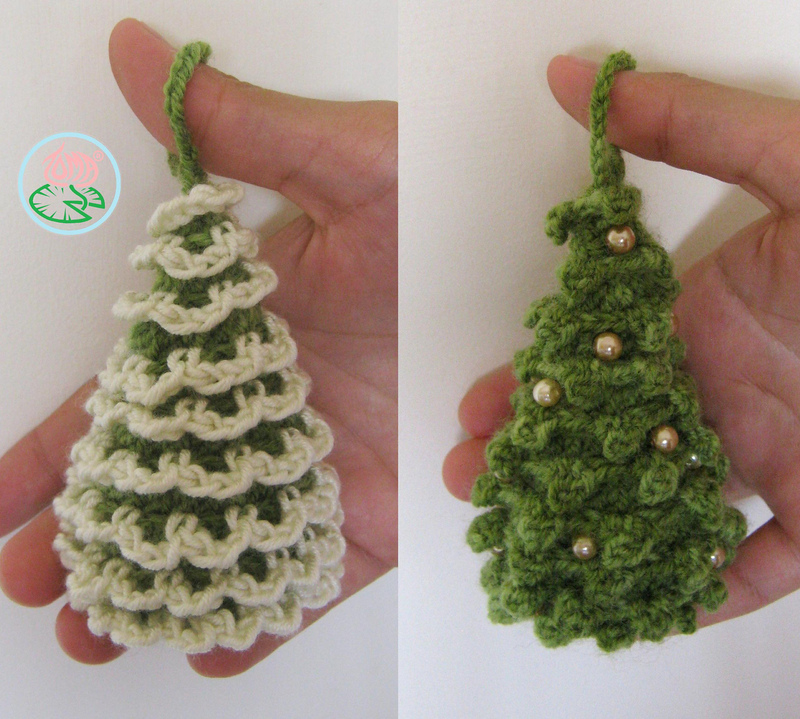 I’m just getting back into crocheting and would like to make some quick projects for our church’s annual craft fair. 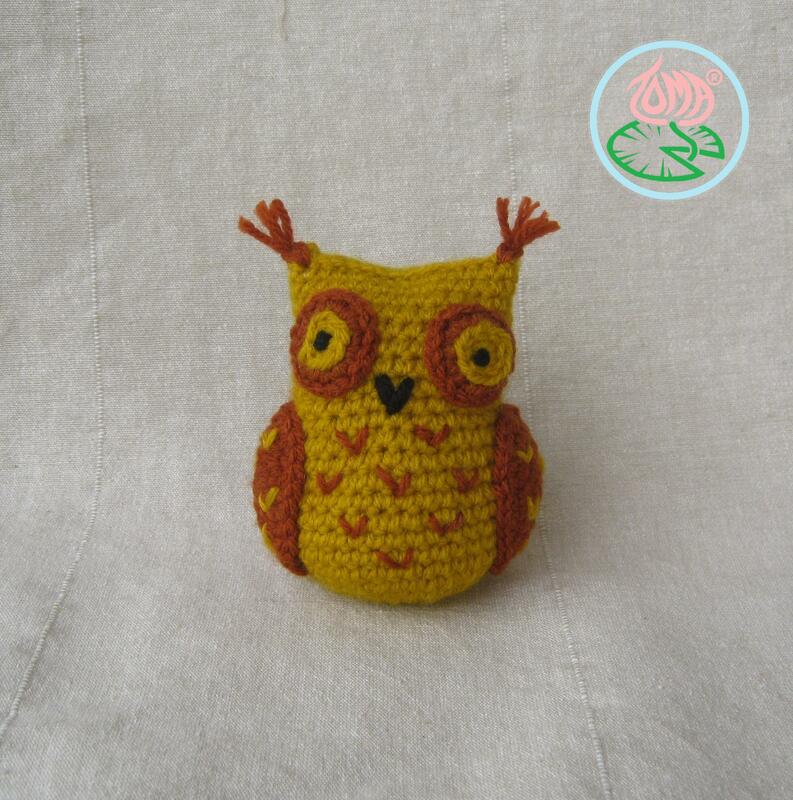 I was asked to find patterns for small animal toys and your little owl is perfect! May I use your pattern to make some for the sale? Thank you for the work you’ve put into sharing your creativity!